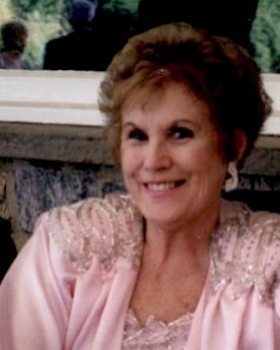 Elizabeth Flynn (nee: McGoey), 86, of Plaisades Park passed away on February 7, 2019. Elizabeth is predeceased by her dear husband Thomas W. Flynn. Left to mourn her passing is her adoring son Thomas and his wife Tricia. Elizabeth delighted in being a grandmother to Suzanne, Thomas and John Connor. She was also the beloved aunt to Frank, Maureen, Christina, and their families. Elizabeth was born in Brooklyn and raised in Queens. She was a faithful parishioner of St. John’s in Leonia. Visitation will be held on Sunday from 3:00 – 7:00 pm at Feeney Funeral Home, 232 Franklin Ave., Ridgewood. A funeral mass will be held on Monday at 9:30 am at Our Lady of Mount Carmel Church, Ridgewood. Interment to follow at Madonnna Cemetery.